We care for our patients and their families when it matters most. In partnership with the University of Toronto and health system providers, Sunnybrook leads by discovery, innovation, teaching, & learning. 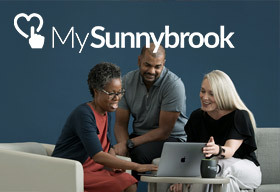 Sunnybrook invents the future of healthcare. 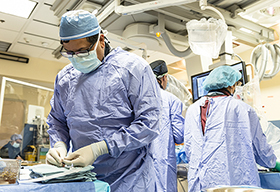 Excellence: We will exceed the expectations of our patients and their families by anticipating their needs, strengthening patient engagement, improving access to care, and ensuring the quality and safety of care. Collaboration: We value partnering with others to achieve our mission and vision. Accountability: My decisions impact the lives of others. I will assume responsibility for the commitments I make to our colleagues, patients, health care partners and communities. I am the face of Sunnybrook and my actions will improve the hospital. Respect: There is strength in our differences. 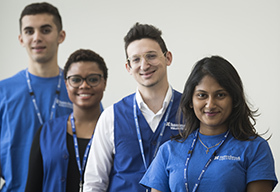 By embracing how we are each unique and how every person's perspective is of value, Sunnybrook can be a leader in health care. 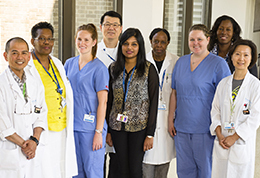 Engagement: We are all active members of the Sunnybrook team and therefore integral to the hospital's success. By engaging others and being invested in our work, we all contribute to achieving our mission and vision.